April 2, 2014: Applying yesterday's standards to tomorrow's music today! Jon: I believe that I described to you the specific quality called "TERRIFIC!," yes? I've just found an example in which a picture's worth a thousand words. EVERYTHING about Robert Goulet in this photo is TERRIFIC! In fact, it's SO incredibly TERRIFIC! that it might even qualify in the category of VERY TERRIFIC! ... dare I say, even possibly EXTREMELY TERRIFIC! (the ultimate level of TERRIFIC!ness). Irwin: It's SO TERRIFIC, it makes me feel woefully inadequate. Jon: It's worse than that: you're woefully adequate. It's true, he's pretty terrific. Every week, just about the time that this program starts, I get mail from Ken and Andy. Tune by Horace Silver, for the Jazz Baroness. How about some Raymond Scott today? He's terrific, too! More to the point, how 'bout something from the new Raymond Scott Rewired record? A record player you say? Some sort of new fangled technology? Oh this is the feces on a tray song. Ken played something from RS Rewired this morning--I second Stau's and third Chris B's request! that singing sadie song is so appropriate for what's going on at my stupid job right now! Speaking of trays, remember Old Dog Tray? At first I thought it was a song about a tray designed to carry old dogs. And it's a good one--thank you! If you're doing "terrific" today, Laura and I still want to hear that song about the doggy, the one with the waggly tail. How about the song about the old dog on a tray? Love the pro-tea madness, not politically of course, just liquiditically. Jasmine green forever, motherclumpers! YEEEAAAHHH. DAMN STRAIGHT. OK, clearly I've had too much tea today. i've got a cup of coffee on the way. it will be my first afternoon cup in several months. he used to play with mark hollis, right? tim friese greene? i guess i could look that up. New Pink Floyd? What is the fascination with mentally impaired. Brian Dewan really doesn't sound like himself on this compilation. Oh no, missed 76% Uncertain? Bummer! Come back at 7pm and you can listen then. "Keep your sodding coffee in a proper copper coffee pot/ And spot me lobbing teapots at your poncy rotten coffee shop." Hell yes! If there's a better tea vs. coffee verse lately then I'll eat my hat. Well, not my hat. Maybe your hat. Bloodrock goes out to Clay Pigeon. Bob Goulet had one or two hits. You could play one of them. You know, seeing as how you put up his picture and all. This FF takes me back to aught one. Roberto, there's something wrong with your picture. It looks like a cat, not a person. I'm sure you're not a cat. yeh? then what'd he say? That dialog was starting to sound a little like Joe Frank. Thanks Steve, I like random Internet kitten #3243891374 a lot too. Green Eggs and Ham - The single greatest piece of literature ever produced by mankind! Is this the Ted Cruz reading? this is so good! bongos would be nice, fleep. Do you have that Dr. Seuss album in front of you? Is there where you got the musical details? My superficial Internet research has failed me so far. A different Marvin Miller Dr. Seuss album has both a faster and slower version of Fox in Sox. rrg: credits are on the insert. CD is on Buddha/BMG. This is so groovy, Irwin. Why does "Ultimate Spinach" smell like patchouli oil? Thank you. Though I contend that the proper title of that work is "Fox in Socks". I forgot to say -- C.W. McCall, now that's REAL country music. Hot damn, that was fun. Not too slick, not overproduced, not off an assembly line. Ike, why are you so hung up on the past, on tradition, on the way things used to be? Ike, What's wrong with slick country music? What kinds of music are good when slick? Why can't you welcome change, accept the new, be PROGRESSIVE like me? Ike sez: "You call that MUSIC??!!" Gonna listen to some Dixie Dregs after the show! For Ike, who's stuck in the past. Thanks, Irwin, I'll take it! Good stuff! It is good stuff, it's true. But so is...oh, never mind. How does Sean Landers know me so well?!? That cat is creeping me out, Ike. ann landers was his mom? lol glenn... that would be too perfect. This guy ain't got what it takes to run a McDonald's. What's the music underneath this? *sniff, sniff* Just tuned in DJ Irwin. *Wiping flowing tears away* Sniff... what am I crying about anyway? after listening to that on Monday, i don't know if any of us have what it takes to run a McDonalds. Oh man, that McDonalds Hawaii convention record smelled of pure gold. So amazing, on a million different levels of awe. Sean Landers sounds like he has a mighty fine ponytail. I didn't build my house, but I did install a new faucet once. Does that count? I couldn't even make it through 5 min. of that McDonald's convention record, so I definitely don't have the bizschnatzelbunk to run one. Or eat at one. My eyes have been transfixed on Robert Goulet. That's a great man! Those were ten well-spent minutes. Thanks, Irwin. Truly inspiring. I'm going to the kitchen right now and whack off an ear with a butchers knife! I AM IMPORTANT DAMNIT! 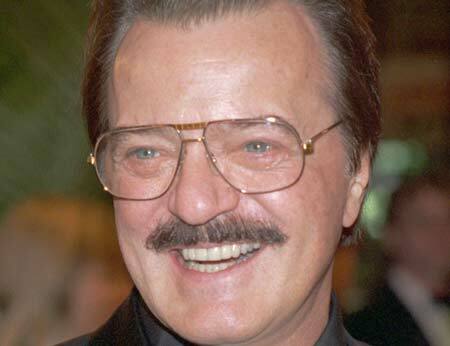 Robert Goulet could run a McDonalds. Grand show Irwin. Especially for reruns. Yes. I was going to say that I've not heard of this artist Wooshie before now. There's still enough time for a Bob Goulet number. Or that doggy song. This could be talkover music. @IKE like you, I couldn't listen but for a few seconds to the McDonalds pickle and mustard brainwash before breaking out in hives. I am a Hope Depot Associate survivor. The Home Depot Nazi meeting PTSD is just too close to the surface. Yeah, sometimes the illustrious Inflatable Squirrel Carcass is a very advanced-level WFMU course. Great, but can be difficult. @Whooda: did you at least shoplift the WD-40 and electrical tape from HD? Ike doesn't like hot country or industrial musicals? Ike doesn't like fast music or slow music. Not loud, and not soft. And definitely not new or slick... How do you feel about The Eagles? Too country? DRUNKS WITH GUNS! Thanks Irwin! A fine finish. A fine rerun. Now we can all hit the road happy. Thanks, Mr. Host, and see you'se later, AccuPlaylisters. I can also be difficult, clearly. Eagles? Um... well... I like their Hitchhiker's Guide to the Galaxy theme. I hardly consider the McDonald's record a challenging listen, especially compared to some of the stuff that gets aired here. I thought the McDonald's record was totally pro: songwriting, lyrics, arrangement, session musicians, singers... Where do you find a singer who can fake a Russian accent while singing about "gastric juices"? That album is totally accessible. Thanks, Irwin. Have a fun week yinz! @mariano I got caught trying to wheel a pressure cleaner out the front door while pretending it was my wheelchair.